HomeCinemaHollywood GossipHer Talk Show Is Canceled And Ricki Lake Couldn’t Be Happier! Her Talk Show Is Canceled And Ricki Lake Couldn’t Be Happier! 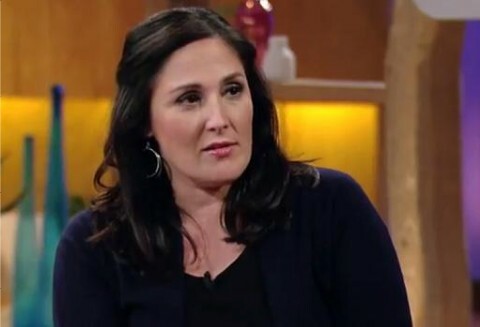 Ricki Lake’s wish was granted Monday – her talk show was CANCELED! Ricki has been very unhappy with her show – the ratings stagnated and she felt the content was beneath her. After having a hit talk show aimed at young people from 1993 to 2004, Ricki expected her new show to have more substance and A- list celebrity interviews like Katie Couric’s show. When Ricki returned from Christmas vacation she actually told the audience she DREADED coming back to work and disliked her show! Her unhappiness showed in her attitude and she made staffers miserable. Today when the show was canceled, jobless staffers were in tears but Ricki was fine with it. Kris Jenner’s talk show will move right into Ricki’s space.